Why Hate PPC and Social Media Advertising? Last week Chris R. left a comment stating that paid search will always outperform SEO. With that comment, we could dive into the never-ending debate of SEO vs. PPC and how social media is becoming a growing part of that debate. Instead of chiming in on a no-win conversation, let’s take a look at it from a different point of view. Paul Sims, a regular reader and participant in many discussions about SEO mentioned to me that he would like to learn more about how SEO, PPC and Social could work together to grow a business, when I put him on the spot and asked what he would like to read about on Website Magazine this week. If you have something you are eager to learn, please leave suggestions below and I will do my best to cover them in future weeks! If you are an SEO agency and you do not have the knowledge or team to implement social and paid advertising with organic search, I would suggest looking to add a few qualified members to your team. 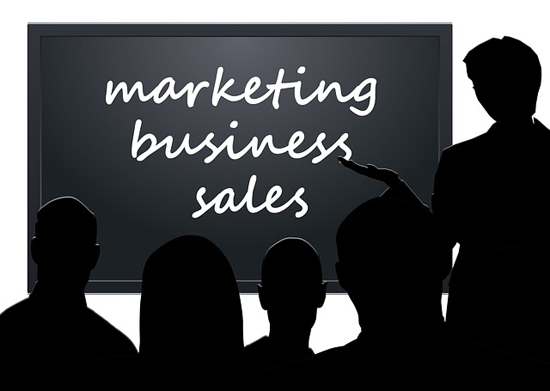 If you are a business owner creating and implementing your own online marketing plan, I would take the time to look at including social and/or paid advertising into my overall strategy. About now I am sure a few of you are wondering why the owner of an SEO company is recommending you use PPC and Social Media. The answer is simple, I feel it is my job to provide business owners with targeted leads in the most cost effective manner possible. Here is a recent example of doing just that. As many of you know, I like to show examples, not just talk theoretically about what is possible. Recently I had one of our new team members who has ZERO background in Web design or SEO put together a landing page using Kickoff Labs. (I am going to stick with InstaPage in the future for landing pages) The instructions were simple, pick a template and add a few quick paragraphs and a related image to the page. The resulting page is below (not bad!). As you can see this page is very simple and took only a few minutes to create. Now that our landing page is up and running, we needed to find a way to send people to that page. Naturally, we looked at SEO and PPC and here is what we found. As you can see, the suggested bid would put at us about $560 per month to reach the bulk of people searching for those terms. (I am aware the actual cost is different, this is just for quick comparison). As you can see, both terms have a difficulty of around 50 percent. It is safe to say that you could rank for this keyword with a brand new site in about 180 days. The cost would vary depending on the agency you hire or the methods you use to rank for the keyword. Here are some stats to consider. If you are paying $560 per month for AdWords for the two terms, you would spend $3,360 over six months. If you paid $750 per month for SEO that would total $4,500 over the same six-month period. The initial cost is slightly more than for PPC but once you rank for the term your savings will far exceed the initial added expense. For example: if you rank in six months for both terms and then you move to a maintenance SEO plan for your site, you could expect the cost to drop to about $350 per month or you could stop SEO altogether for so long as you continue to rank. This will depend on what your competition is doing. If you get to stop once you rank, it would only take about two months to make up for the initial added expense then you would be saving the $560/month for however long your site ranks. If you continue to spend $350/month after your site ranks, you would recoup the added cost in about five months, then save $210 each additional month when compared with AdWords. I do want to mention that the search volume of your keywords will determine the potential savings of SEO vs. PPC. If our example keywords had 4,000 monthly searches, the savings would be much more dramatic. 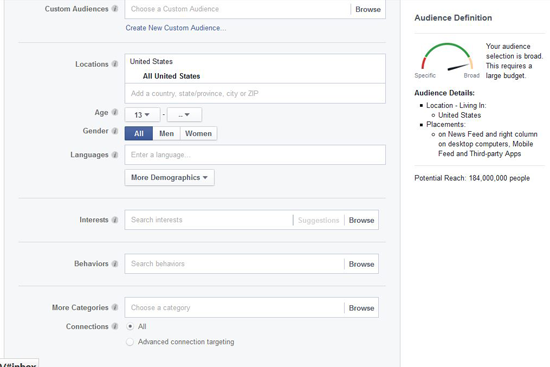 Now that we know the costs for SEO and AdWords, let’s see what we can do on Facebook to attract traffic to our website. Since Facebook has made so many changes to the news feed, I find that organic traffic for FB is down across the board so we are going to focus on paid advertising. If you are looking to brush up on your organic social media marketing skills, you should take a minute to read the Social Media section on Website Magazine. 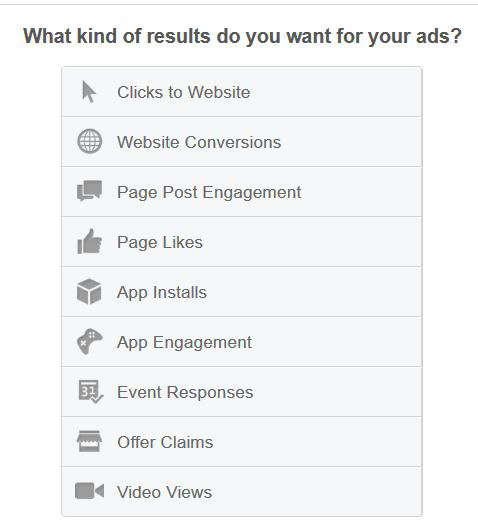 If you are not familiar with Facebook advertising, it gives you a lot of options when setting up a campaign. You can setup an ad to get page likes, event registrations, clicks to your website and more. In our case, we want clicks to our landing page, so we select clicks to website. As you see above, I would then start typing various wedding service job titles and add them to the list as I have done above. In this case, the estimated cost per click is between 75 cents and $1.06 so I will leave it as is. If the cost per click was higher, you could use other option in the more demographics dropdown to further refine your audience. I also like to use the “behaviors” tab to refine the audience. 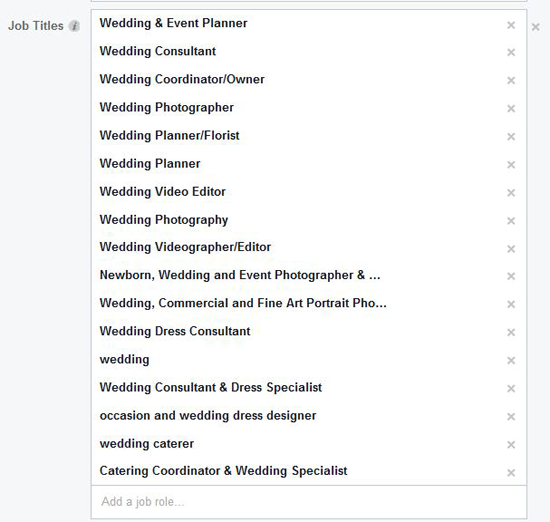 Since the keywords we talked about for SEO and PPC dealt with wedding photographers, I limited the job titles in the campaign I setup to deal with only that profession. Here are the results from a short campaign I ran on Facebook. As you can see, the actual cost per click was 58 cents, so for about $30 I got 60 people to my landing page using Facebook ads. In AdWords, I would have paid $200-$400 for 40 clicks to my page. The point of this entire discussion is to make you aware that SEO and PPC can complement each other when you take the time to understand which tool is right for the job and how well you can operate those tools. If you are a business owner looking to go it alone, Facebook is your cheapest option in this case. If you are an SEO firm and you have assets on hand to rank the page that could be your cheapest route. As I mentioned above, if you were working on a search term that got 4,000 searches instead of 40, SEO is going to be cheaper over the duration of your campaign. So, when you are setting up a campaign for yourself or you are looking to hire an online marketing firm to setup and manage your campaign, you should look for the one that can show you the options and help you setup a campaign that will get the most targeted traffic to your website.